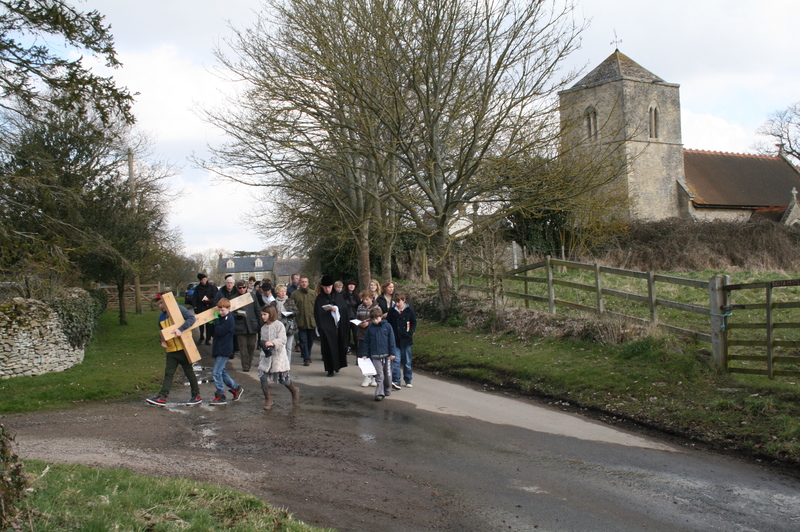 Despite our church being closed during renovation we gathered to celebrate Good Friday. 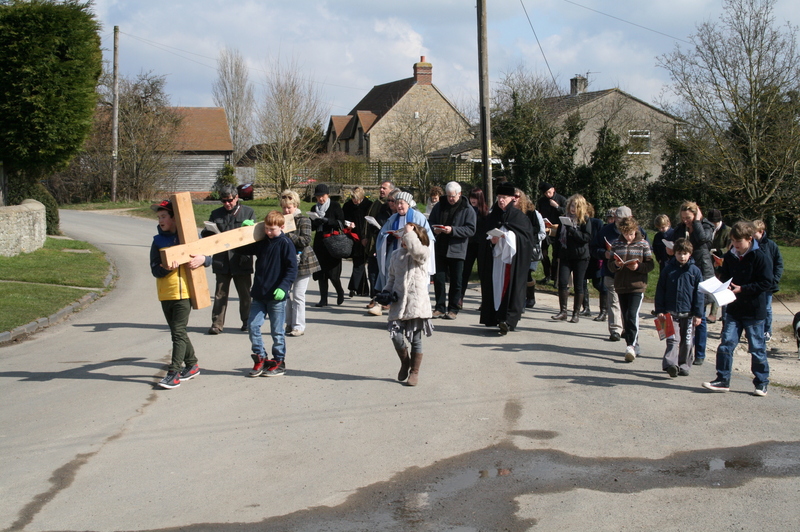 Following the cross, the congregation moved around the village, stopping at various points for a service conducted by Rev Andrew Rycraft and Glenys Edwards. 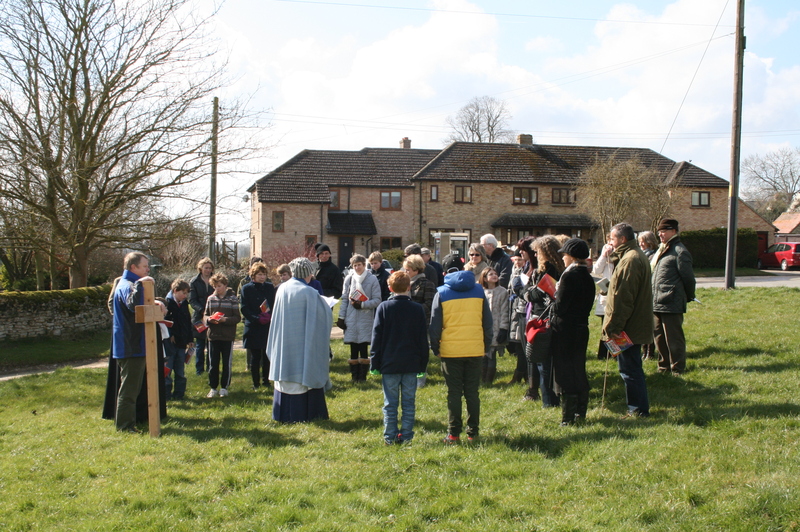 We then retired to Rectory Farm for hot cross buns!